Start with the right questions. Take into account the point of view of all those who must "buy into" the process. Consider all the issues and think ahead about how to evaluate the plan. Walk through the process moving your focus from curricular needs, to access to information, software and hardware, and support. Review sample strategies from districts with successful plans. (The Appendices alone here are worth the price of the book!) With this balanced overview and step-by-step help, you'll come up with an effective plan to support improvement in teaching and learning. · Finally! How to successfully link technology planning with the instructional process! Steven Baule is the Superintendent of Schools at Westmont Community Unit School District 201 in Westmont, IL. 6. 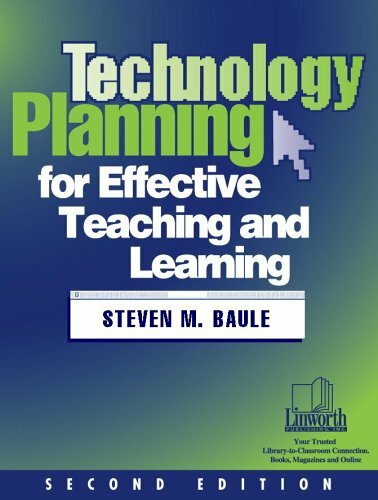 Technology Planning for Effective Teaching and Learning, 2nd Edition [Paperback] Baule, Steven M.